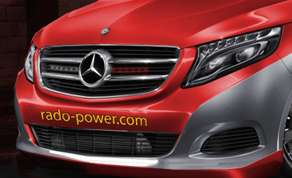 It seems like the objective of Mercedes-Benz’s “Mission Metris” is pretty simple: have a good time. 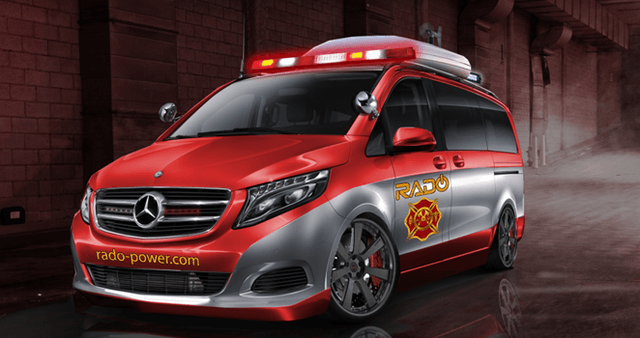 The German brand is bringing four midsize project vans to the 2014 SEMA Show, including a DJ Van, Luxury Van, Mobile Golf Pro Shop, and a Fire Chief Concept Truck. As you’ve probably guessed, these aren’t your average work vans. They may be utilitarian underneath, but you won’t find any ladders or power tools strapped inside these deluxe party cruisers. 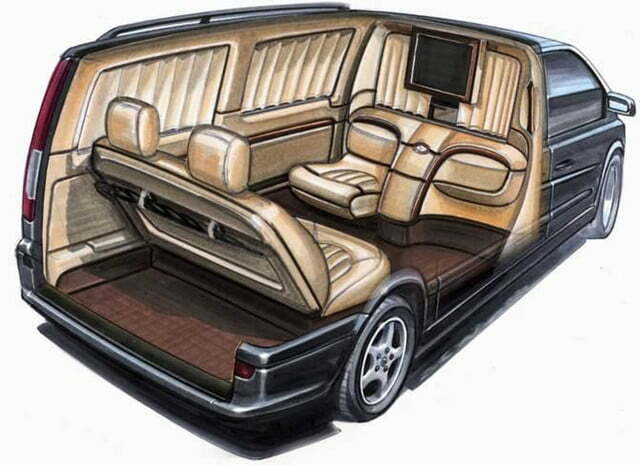 The first member of “Mission Metris” is the Luxury Van. Instead of empty storage space in the back, the Mercedes wears padded interior materials with a TV, reclining bench seats, and an ultra-executive vibe completing the experience. Next up is the Mobile Golf Pro Shop, which functions just as it sounds. There’s a high-tech golf simulator and infotainment system inside for those times when you get booted off the range, with a Mobile Performance Center and Merchandising Displays coming along for the ride. 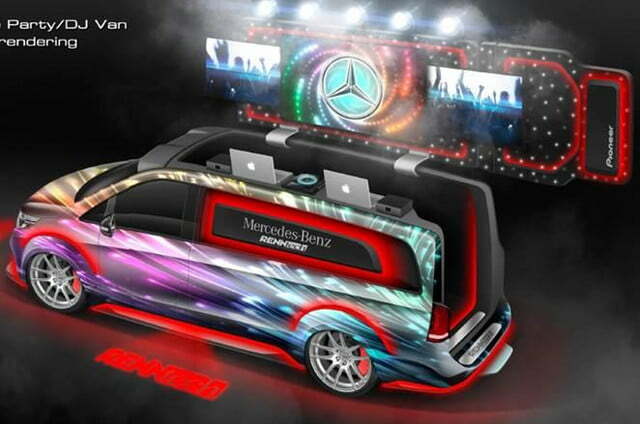 For those who want to keep the festivities portable, Mercedes built a Party/DJ Van, complete with a clamshell roof that opens into a swirling digital backdrop. Of course, it has the bass-thumping stereo to match. In case the party gets too out of hand, the last member of “Mission Metris” is a Fire Chief Concept Truck. Unfortunately, it doesn’t spray 1500 gallons of water per minute, but it does have advanced communications systems and a standout civil servant uniform. 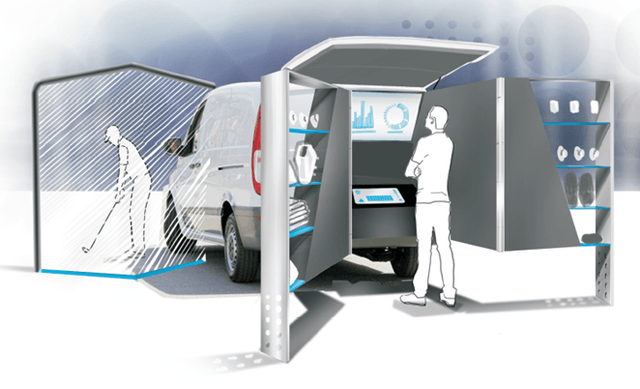 “Mission Metris” was designed to build anticipation for new midsize commercial vans that will arrive in the U.S. and Canada next year. For the painters, carpenters, and shipping companies who aim to use the van as it was intended, production versions will be shown in 2015. The 2014 SEMA Show kicks off November 4th.